Registered nurses independently direct many aspects of patient care, and they often lead teams of more junior nursing staff. Ohio’s RNs must graduate from a state-approved prelicensure program and pass the NCLEX-RN national licensure exam before practicing. According to the Bureau of Labor Statistics, the median annual salary for a Toledo RN is $58,700. Licensed practical nurses are more junior than RNs, but they may still conduct many healthcare activities. These include providing injections, monitoring medical equipment, dressing wounds, and recording vital signs. Ohio’s LPNs must graduate from an accredited certificate program and pass the NCLEX-PN national licensure exam before practicing. 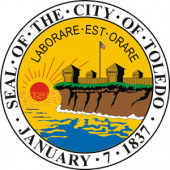 Toledo’s LPNs earn a median annual salary of approximately $40,000. A nursing assistant or “nurse’s aide” helps sick, injured, elderly, and convalescent patients with basic quality-of-life tasks. Ohio’s CNAs need only complete a brief training program and pass the state certification exams in order to gain licensure. CNAs in the Toledo metro area report a median annual salary of $23,800. Toledo’s newly minted nurses may seek employment with major local healthcare providers like Mercy Health, Promedica, and the Hospice of Northwest Ohio. To help the city’s aspiring nurses launch their careers, we’ve identified below the best nursing programs in Toledo.